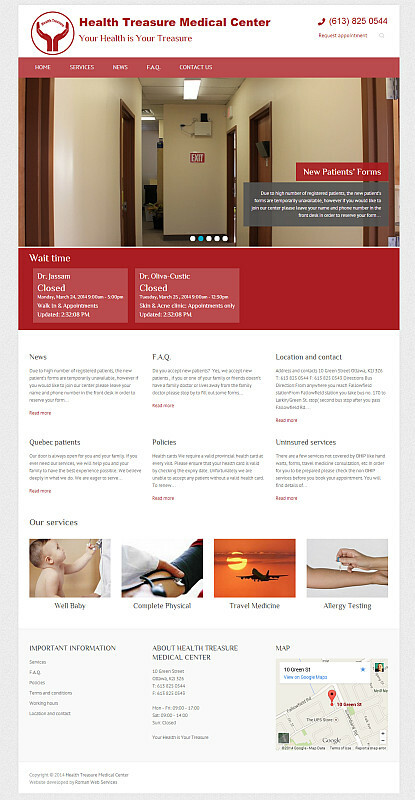 This project required upgrade of a bit outdated website to something looking professional, easy to modify and update. Besides regular news and services upgrades, customer required the ability for front desk employees to update the wait times without the need to go into complex back end. 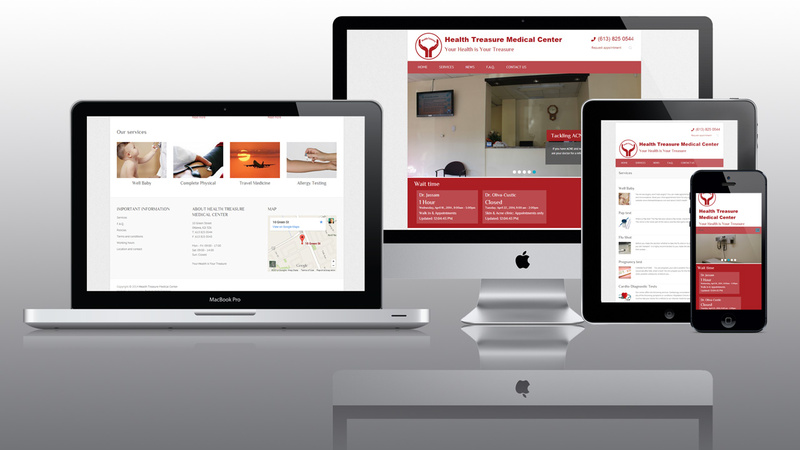 Website was implemented using WordPress content management system. One of the more popular themes was chosen and colors adjusted to match chosen color set. Wait time update was implemented as separate plugin, and user roles were adjusted in such way that front desk workers do not have access to any other settings. 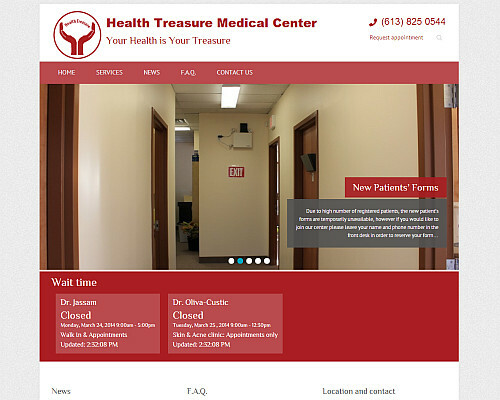 That means that medical centre stuff was able to login and update the wait times, without the risk of breaking anything else in the site. 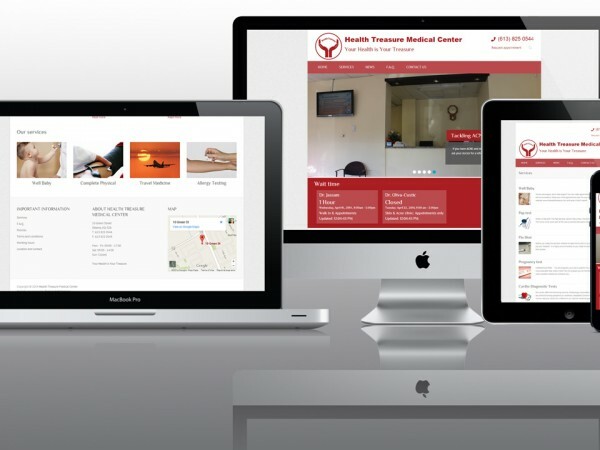 The website was implemented using responsive techniques, that assured that website look optimal on all of the mobile devices as well as desktop screens.